A clever idea, which can be used in many locations; sports, the beach, spas and festivals, where a practical product can be used to full effect. 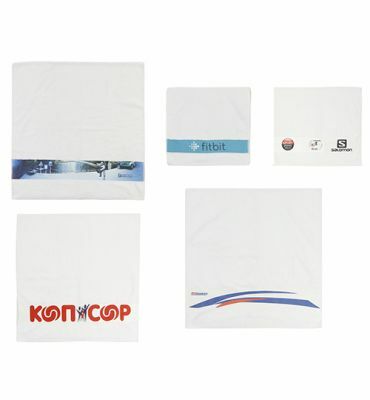 This promotional product does just that, as the branding or graphics are promoted both when carried and also when opened and used as a towel, when the bigger branded area is then visible. It’s ultra-light and compact design makes it great for travel and throwing over your shoulder on your way to the beach, pool or spa. Saves finding a bag to carry a towel! The outer bag and towel are 100 % polyester microfibre towel and the towel is microfibre. Digitally printing provides stunning detail in vibrant colours and endless possibilities for creativity. Quick drying and washable up to 60 degrees Celsius without colour fading. Want to get the most out of your brand, event or club logo? 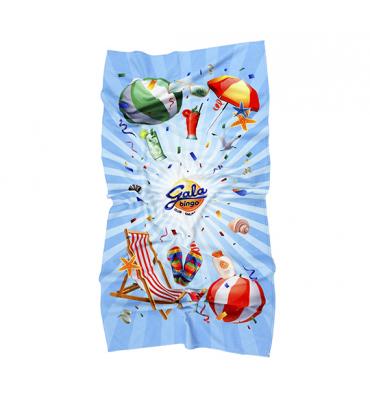 This full digitally printed towel gives incredible vibrancy and detail, to show off complicated designs or logos to best effect.